Judging begins on the 1st of the following month (i.e. January contest judging begins on February 1). Judging lasts between 7-10 days. We contact our winners shortly after and announce the finalists and winner on our winners’ page of our website. While we value your opinions, we leave our scoring up to our professional talent agents and photographers. This is what makes The CuteKid different. Our judges have years of experience in spotting those fresh, CuteKid faces. You are, however, able to vote in our People’s Choice Gallery. What’s the difference between the Monthly Contest and the People’s Choice Gallery? They’re two different awards – one is judged by industry professionals and photographers, and the other is judged by YOU! 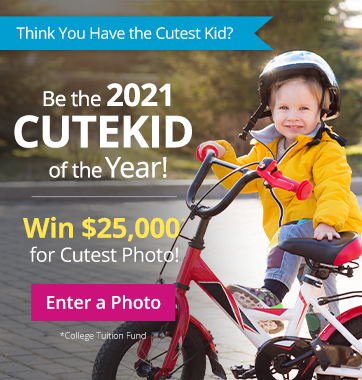 Each month, contest entrants have a chance to win our professionally judged CuteKid of the Year Contest, with over $3000 in monthly prizes and a $25,000* college tuition fund grand prize. Even if you don’t enter the paid contest, all photos uploaded to The CuteKid are also eligible for the People’s Choice Award, where CuteKid members choose a winner. Get votes for your photo when you share it with family and friends. The photo with the most votes wins the People’s Choice Award, and a cash prize. Each month is a new chance to win! Please be advised that The CuteKid staff verifies all votes to ensure their legitimacy. Only legitimate votes received throughout the month will be considered in determining the winner. If we find evidence of illegitimate votes your entry will be automatically disqualified. What is the People’s Choice Gallery? We encourage you to vote each day. When you return the next day to vote again, be sure to clear your cookies/cache and open a new browser to ensure the system recognizes your vote. We verify all votes to ensure their legitimacy, in the spirit of the contest. Only legitimate votes received throughout the month will be considered in determining the winner. How often can I cast a vote for a photo in the People's Choice Gallery? You may vote once every 24 hours. Once your vote is submitted, a countdown will begin on that child's profile page letting you know much time you must wait before voting again. Can I upload and enter photos for someone else? You can upload a child’s photo with the permission of the child’s parent or legal guardian. You must create a member account in your name, not in the name of the child’s parents/guardian. How many pictures are entered into each contest? There is no set number of entrants in our contests. Each monthly contest varies by participation. The CuteKid Judges select five Category Winners (Baby, Toddler, Preschooler, Big Kid and PreTeen), and one overall winner is selected from among these five Category Winners each month. It is our goal to reward and recognize as many CuteKid entrants, not just one. With so much cuteness, we wish we could make everyone a winner! Does everyone have access to my photo account? Your photo account, as well as photos you’ve entered into our contests, can only be accessed by an authorized CuteKid Judge or staff member, and YOU! You will be asked to provide your unique username and password for access to your photos. 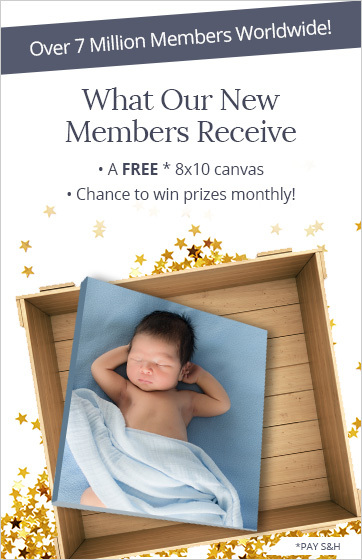 If your child is a CuteKid Monthly Contest Winner, an Honorable Mention, or selected as a winner in the People’s Choice Gallery or in one of our Special Galleries, we’ll publish your child’s photo on our Winner’s Page. Our staff also selects a “CuteKid of the Day” each weekday. That winner receives a free contest entry, and their photo is shared with our fans on social media. Additionally, we reserve the right to use that photo for promotion of The CuteKid through the website and promotional materials. Any uploaded photos are viewable by the general public in the Monthly Contest and People’s Choice Gallery; however, you may opt to make your photo private so it will only be visible to you and The CuteKid staff members, judges and authorized agents. No one will be able to download or save your photo from The CuteKid. The CuteKid allows members to upload and save their pictures to our site for Free. If you would like to be included in one of our monthly contests for cash and prizes, there is a fee of $19.95 per photo. Do the judges review every photo submitted? Yes...every photo entered each month into The CuteKid Photo Contest is carefully reviewed and judged. Can I enter a professional photo? Although our judges prefer that you do not submit professional photos, you can enter them into The CuteKid Photo Contest. Please be advised that if your professional photo is chosen as a finalist or winner, you’ll need to obtain written authorization from the photographer for use of the photo. Can I enter a photo with a SnapChat filter or with text? While SnapChat filters are a ton of fun, we prefer to see your child as he or she is! Additionally, we offer users the option to caption any photos they upload, so any text you wish to add you can do so using that feature. Where does The CuteKid store my child’s personal information? Your information is kept secure within our databases. Additionally, when entering our online contests, the entire order process is secured and authenticated by an SSL security certificate. The CuteKid.com reserves the right to send promotional materials to its members. What happens if I submit more than one photo? You increase your chances of winning! Each photo entered into any of our online contests will be judged separately on its own merit. These photos will not be combined, so judges can choose which photo they prefer. In other words, the more photos you enter, the more chances you have to win. What happened to the Multiples contests? What if I want to delete my CuteKid account? Members are unable to delete their own CuteKid accounts. If you are sure that you would no longer like to be a member of The CuteKid and would like your account deleted, please contact our customer service department at support@thecutekid.com. Still have questions? We're here to help you! Customer Service Hours are 9am-5pm EST, Mon.-Fri.